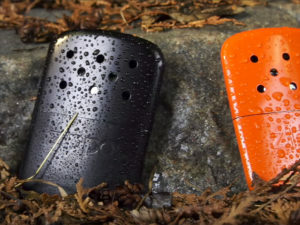 Hikers and runners will love this feature rich sports watch. 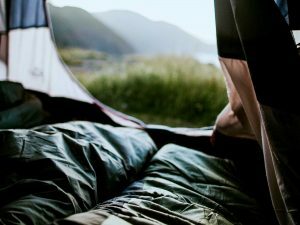 Finnish company Suunto have been making navigational devices since the 1930s. In fact, the word ‘Suunto’ is Finnish for direction. So it is no surprise that their extensive range of sports watches are loaded with incredible features, all syncing with the company’s own web-based community – Movescount. 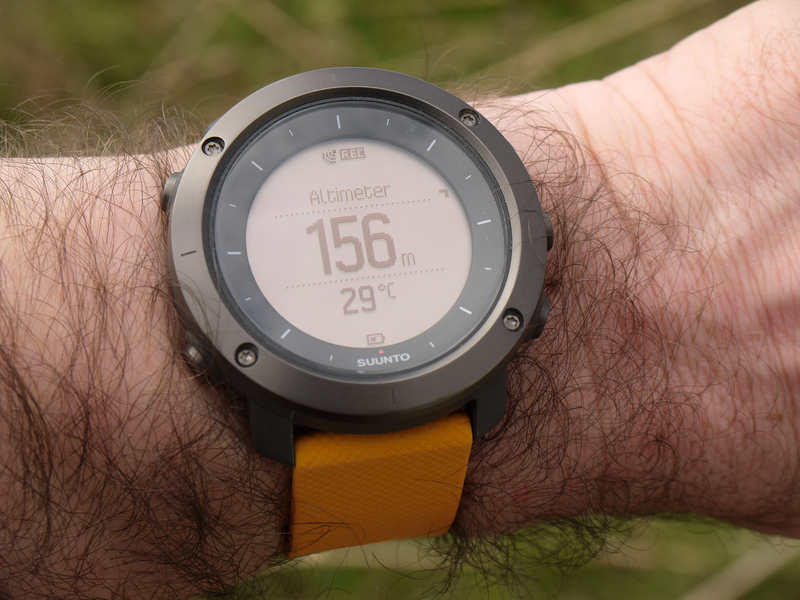 The Suunto Traverse watch is aimed at hikers rather than athletes, as it has some mapping features that are more useful for walkers. 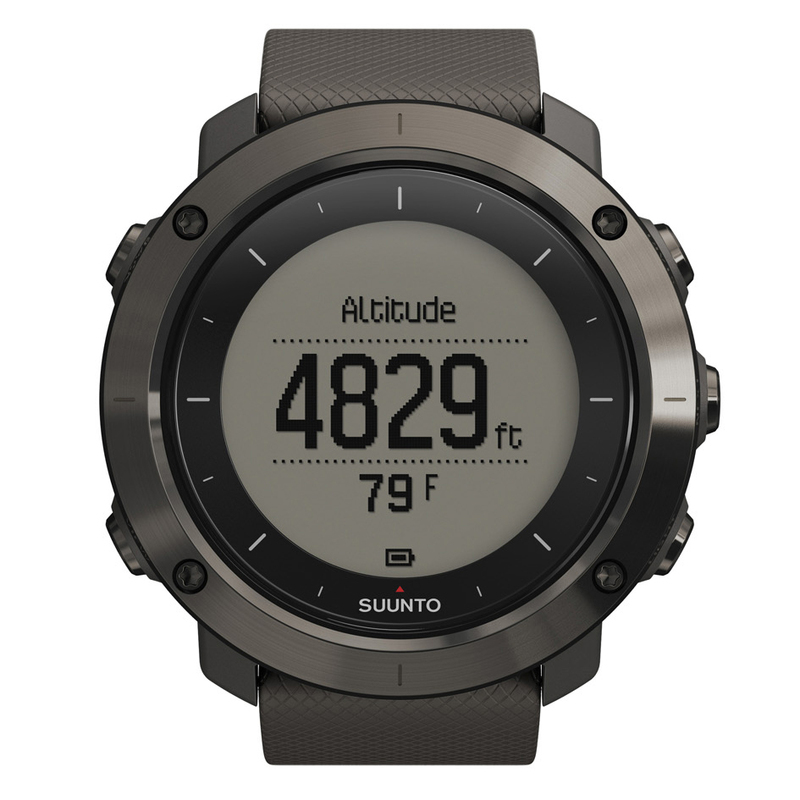 The price is at the lower end of Suunto’s range too – costing between £325 and £390. If that sounds like a lot of cash to spend on a watch, you have to remember it is so much more than that. In fact, in the six months I’ve been testing it, there are still a lot of features that I have yet to discover. The Traverse is a very chunky watch – sitting about 15mm proud of your wrist. The build quality is exceptional, and the display is very clear to read. I found the strap mine came with a bit odd – it was an orange rubbery material, which I thought looked a bit tacky, but I later found was waterproof, very durable and most welcome. There are different strap options, (mine was the Amber) including a canvas version, and you can choose different coloured casings too. There are five sturdy buttons positioned around the face, and you will get used to what they do eventually. In case you forget, the function is etched above the button in microscopic type, which was useless if I wasn’t wearing my glasses, but I am sure younger folk would have no problems! There is a charger and instruction booklet in the box, so the first thing to do is charge up and pair with your smartphone. You don’t have to use the Movescount app (which is free from Suunto), but you’d be daft not to, as the data from the phone can be downloaded to the phone (and synced with the Movescount website), for a better understanding of how you have performed, gradually growing to create a picture of your overall fitness. The USB charging cable has a claw on the other end that grips to the watch, making contact with four copper studs. It doesn’t take long to power up, although you need to make sure the claw is gripping correctly, otherwise it won’t charge. If you are using the watch and its various functions frequently, then the battery will drain quicker than if you are just using it as a watch. There are lots of things going on in the background though, such as how many steps you have made that day. In general though, I was able to wear the watch for around a week, recording various activities on the one charge. The main home screen shows the time and date above. Pressing the bottom left button will bring up other information such as sunrise and sunset times, second counter, altitude, the aforementioned step counter and battery life. There is a light too, and this has its own button (bottom right). One press will keep it on for a few seconds. It took me a wee while to get to grips with the watch I’ll be honest. Just recording an activity seemed to be beyond me – however, after a couple of false starts I got used to it. Pressing and holding the top right button allows you to record a run/cycle/walk. The watch takes a few seconds to source the GPS signal, beeps, and away you go. 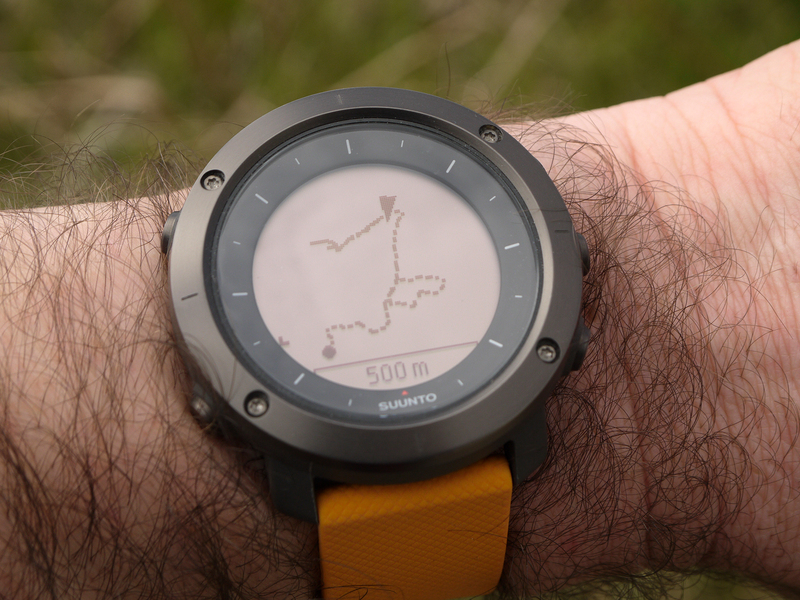 A couple of times the signal wasn’t found straight away, but that needn’t hold you up – you can force the watch to start recording your distance at least, but the overall map of your route may be incomplete at the finish. A second stab at the button will pause your recording. Once your activity is complete, you depress the button and hold. The screen will tell you it is saving your data. Mainly I used the watch for canicross, hiking and cycling. It’s very useful for showing you how far you’ve gone, speed, oh, and calories burned if that’s your thing. Once you’re back home (or when out and about), you pair the watch up with your smartphone via Bluetooth and the moves are transferred over to the phone app (and can be viewed on the website too). 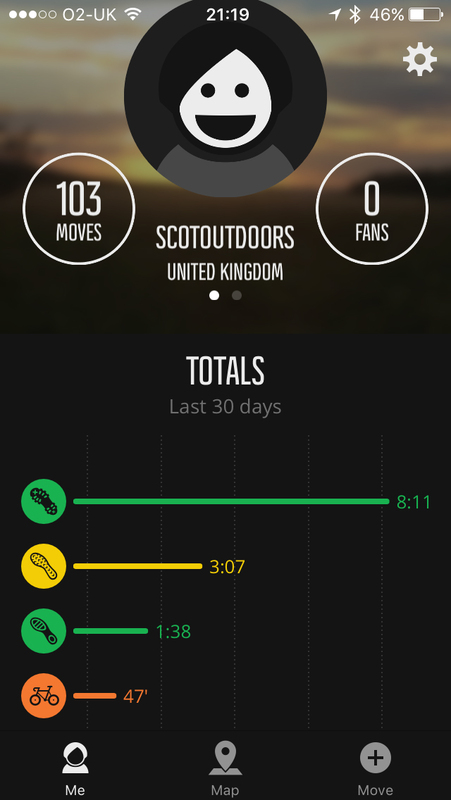 You can edit the move, confirming that it was a cycle or a walk you were on, where you were and how you felt. You can even upload photographs from the journey, and record points of interest on the route too. Some of this information is stored on the watch itself, but it’s much easier to see on the app or website. You can share all this with the wider Suunto community, or choose to keep it private. A really cool function is that your activity is recorded not only as data, but as a mini video which can be shared on Facebook or similar. 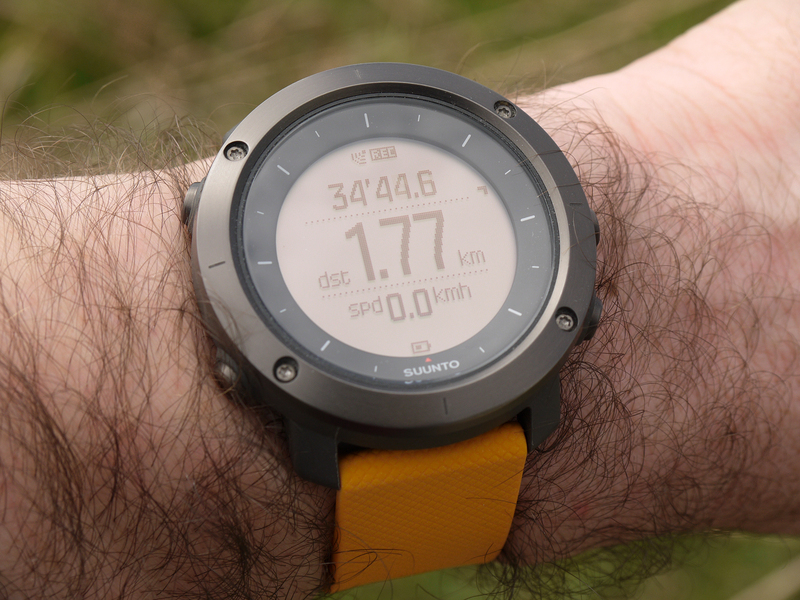 You can also see other Suunto users in your area, and where they go for runs or walks, including their speeds and times. The point of this is to discover new routes, and also to test yourself against others. It’s a truly global map, so wherever you are in the world there will be new routes and people to discover. I tried it when I visited Stockholm, and there was a bunch of trails to download and try. Talking about routes – you can map your own on the website and download it to the watch for trying out later. I had mixed experiences with this feature. It seemed to be happy when there was a defined pathway on the map, but as soon as I went off the path I was unable to chart the rest of the route. 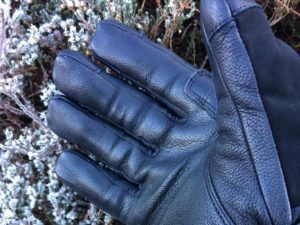 The point here is that you should be able to navigate yourself to where you want to go just by having the watch (there is an inbuilt compass), but we would always recommend carrying a paper map when walking the hills. Another nifty feature is the breadcrumb trail. Say you are out walking, but have taken a wrong turning, and want to retrace your steps. A couple of button pushes displays a screen of your route and direction. Turn around and the watch will show you the way back. Never having used a watch like this before, I was pleasantly surprised at how much I liked it. 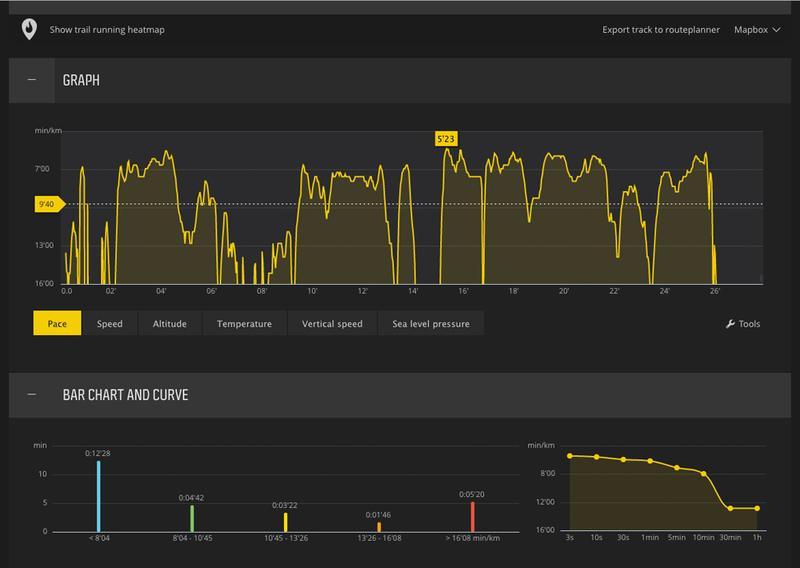 Running took on a slightly more competitive edge, as I strove to keep my speed up, or increase my distance. I confess I haven’t used all the functions to the maximum, so if you are just looking for a device to track speed and time, then maybe this isn’t for you. 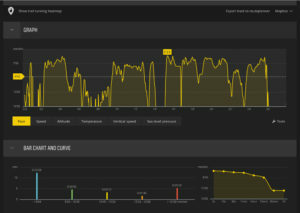 The data provided on the website though is mind boggling, and certainly for aspiring athletes, it could be extremely useful – and it’s all free as part of the watch package. Movescount data can also be merged with Strava accounts, which may be helpful for some people who already use that system. 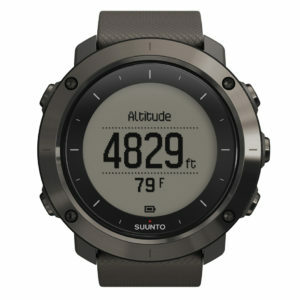 Suunto Traverse from £325. Available from Tiso, Cotswold Outdoor and Nevisport.